Our new formula VIP’s PRESTIGE HAIR TONER does not contain ammonia and oxidant. It gently colors and nourishes your hair with the combination of 100% pure and natural oils, vitamin F extract and nettle. The products from the series BeBLOND are suitable for neutralizing the “yellow effect” after bleaching and coloring your hair. The special formula of the products BeCOLOR gives you up to 70-80 % coverage of grey hair. 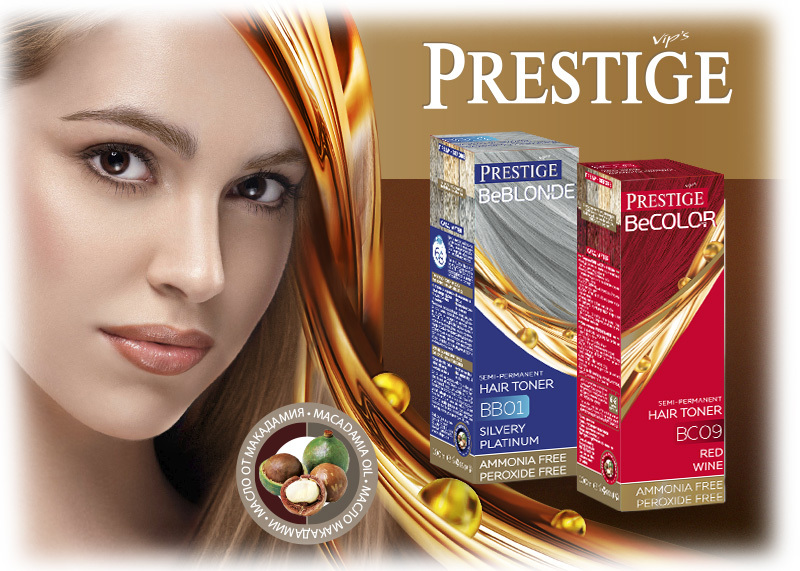 This product is suitable for grey or colored hair. Your color fades after about 6-8 washings. You may repeat the coloring any time, without a risk about your health.